Panorama of a beautiful hilltop village among the fields of Provence. A stitched panoramic image seems to do a better job in relaying the breathtaking beauty of Gordes and its surroundings. The place is a "must visit" if you find yourself wandering around Provence (near Avignon). 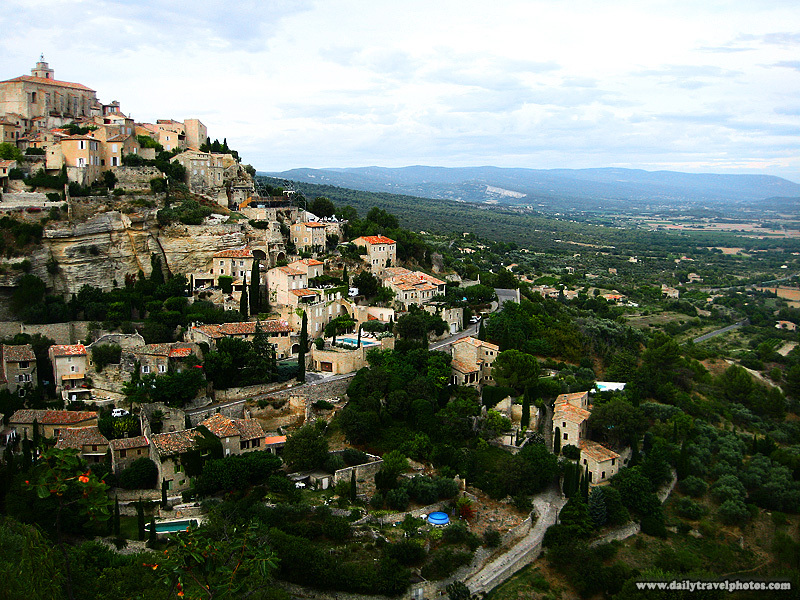 Picturesque Provencal village perched precariously on the slope of a mountain. What an amazing place. I'll have to put it on my must photograph list. Hope you are doing well, Pius. Yeah, apparently, even French people aren't so familiar with this place. Definitely a must-see!